Join Wade and Cheryl Hudson, co-founders of Just Us Books on Saturday July 20, 2013 at the Young Reader's Pavilion--Harlem Book Fair. 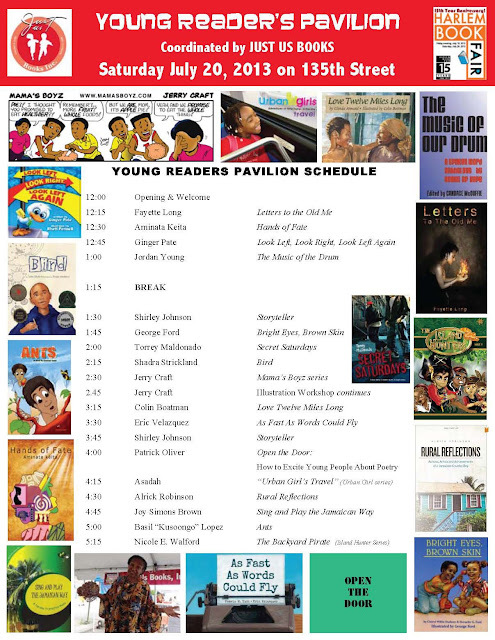 Meet favorite authors, illustrators, storytellers and children's book lovers on West 135th Street near the Schomburg Center for Black Culture and Research. 12 noon until 5:30 PM. We'd love to see you there!